Soft, chewy, and delicious, these oatmeal squares are a great snack or breakfast item to go! Anybody love those breakfast squares Quaker makes? Or the chewy oatmeal squares made by Nature Valley? I absolutely love them and could eat a whole pack in a day as a teenager. I honestly enjoy any type of baked oatmeal anything. 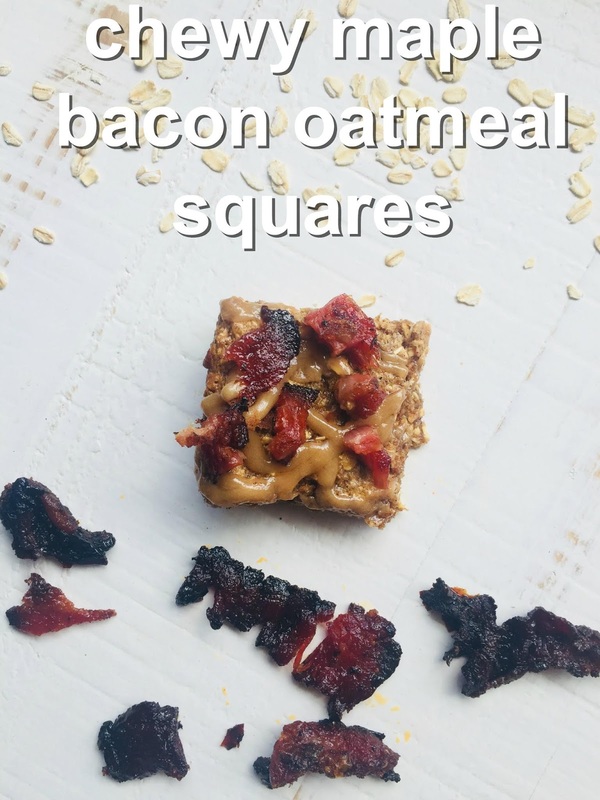 I tried out this Nature Valley Copy Cat Oatmeal Square by "Chelsea's Messy Apron" and found it to replicate Nature Valley's square very, very well. I think it is a good base for any kind of baked oatmeal square you'd like to make. I used the aforementioned recipe for the base of this oatmeal square (it's plenty good all by itself) and then added our absolutely favorite bacon topped onto a maple icing. I love maple bacon donuts and this recipe ended up tasting very similar without near as much guilt. As promised in our social media, here is the short process to enter our $50 Amazon Gift Card Giveaway! This is a whopper to start to our monthly giveaways! It's really easy to enter! Step 4) Click here and fill out this google form so we can verify you've completed steps 1-3! 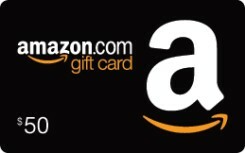 Step 5) Click here to submit your email for the $50 Amazon Gift Card random drawing! I need make this for my husband...it has all his favorite things!